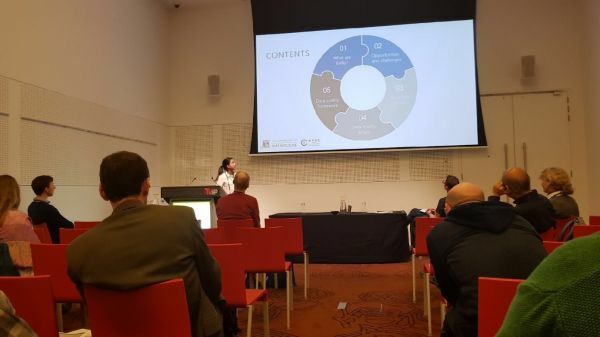 At the end of August, the DGP statisticians Patty Chondros, Christine Hallinan and Sharmala Thuraisingam attended the joint International Society for Clinical Biostatistics (ISCB) and Australian Statistical Conference (SSA) which was held in Melbourne. 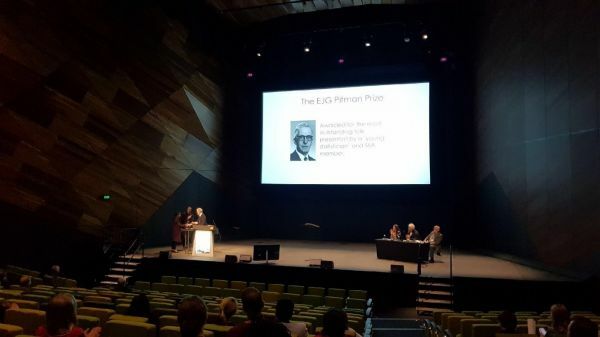 Sharmala Thuraisingam gave an engaging and outstanding presentation on her PhD work on “Using General Practice Patient Records in Medical research”, for which she was awarded one of four SSA EJG Pitman Prizes for the best student presentation. It was the first time the ISCB held the conference in the Southern hemisphere and attracted over 616 delegates from across the world. The joint conference offered great opportunities to network with leading statisticians in the primary care research in Australia, Europe, Canada and the United States. Photos below of Sharmala Thuraisingam presenting her PhD work and accepting the EJG Pitman prize at the closing ceremony of the conference.